Following a hugely successful UK tour in 2014, which attracted more than 3,000 visitors in just the first six shows, the much-anticipated Overseas Property Show is returning to Surrey. The show will arrive in all its glory this June, with experts on hand to discuss the merits of owning property overseas, as well as what to watch out for, for those who are new to second home ownership. Appearing at the Holiday Inn Guildford on Saturday 27 and Sunday 28 June 2015, the show will present properties from Portugal, Cyprus, Spain, Italy and the US to UK buyers looking to pick up a home in the sunshine. From holiday apartments to retirement villas and primary residences, the free-to-attend Overseas Property Show has something for everyone. 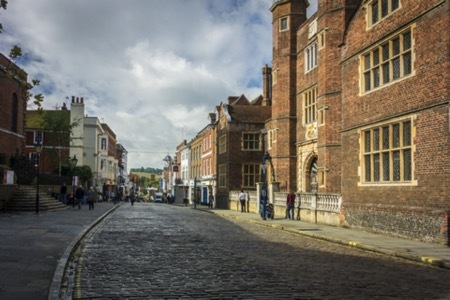 The prevalence of high net worth individuals in the Guildford area makes it the ideal location for this prestigious event. International property expert Chris White, Founding Director of boutique real estate agency Ideal Homes Portugal, will be available with his expert team to talk buyers through property ownership in Portugal and how they can turn their dreams of a second home in the sunshine into a reality. Chris comments, "The Overseas Property Show is the perfect resource for UK buyers who want to own a home overseas. Whether it's for holidays, to live in fulltime or to use as a means of earning income, second home ownership can be a fulfilling and rewarding activity, but many buyers are unnecessarily daunted by the prospect. The Overseas Property Show offers the chance to ask questions of property professionals who have lived and worked overseas for years and can share their knowledge, hints and tips of how to get the best from overseas home ownership." Chris and his team will also be presenting buyers with a range of stunning second home options in Cyprus, through Ideal Homes International. Basking in more than 340 days of sunshine per year, Cyprus has long been a favourite with British second home buyers, with its sandy beaches, turquoise Mediterranean waters and fresh cuisine tempting many to turn their holiday home dream into a reality with a Cypriot property. 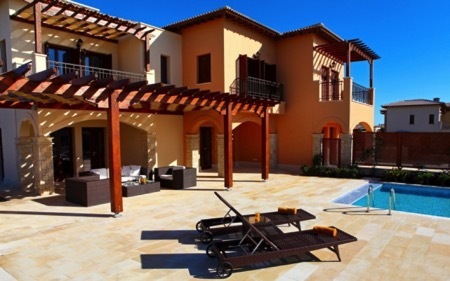 Surrey residents have the opportunity to explore properties in Cyprus, Portugal and more this month by joining the Overseas Property Show at the Holiday Inn Guildford on 27 and 28 June. Doors open at 10.00 am and close at 6.00 pm on both days.